Weigh Date: 4-10-19, 1502 lbs. His dam and granddam are both Pathfinders. 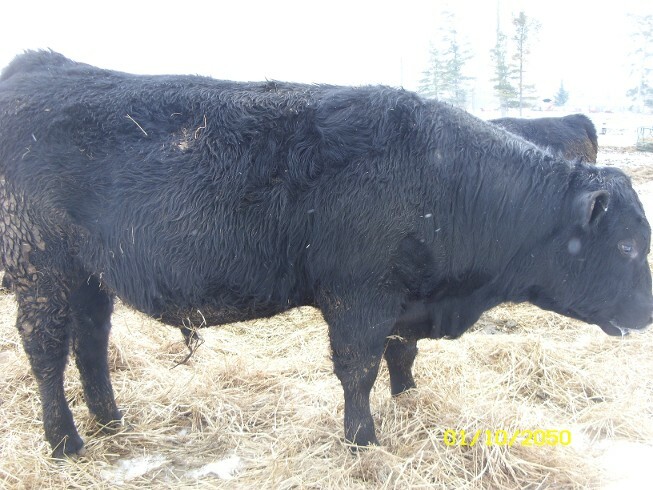 Sire is one of the most highly proven spread bulls in the Angus breed. Calves are born small and grow exceptional well. Weaned off 900 lbs @ 211 days. Was the second heaviest bull on vaccination day (11-23-18) @ 952 lbs. Dam right now is probably my top cow for her age. R-429 had the highest individual ratio @ 119 and top ADG.